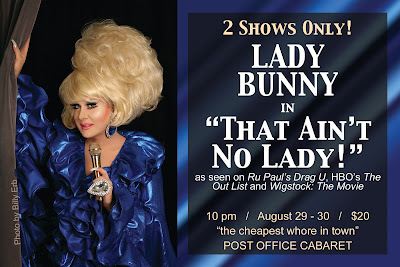 Lady Bunny Blog: THIS POST WOMAN RINGS TWICE! Tonight and Friday night at Provincetown's Post Office Cabaret: THAT AIN'T NO LADY! Two shows only at 10PM tonight and Friday night.